Justin Marks is out to make his mark as more than a NASCAR triple threat: in addition to driving in all three of NASCAR’s top series, he’s also an accomplished road racer, a race track owner and a race team owner. Learn more about this NASCAR up-and-comer in this week’s Fast Facts. Justin Marks was born March 25, 1981 in St. Louis, MO. He was introduced to auto racing by his grandfather, with whom he watched Midwest drivers like Ken Schrader and the Wallace brothers. In 1995, Marks and his father attended the Indianapolis 500, and he decided to pursue motorsports as a career. He made his racing debut in a street stock in 1998 at Altamont Raceway Park in California. At age 18, Marks competed in the SCCA Regional Racing Series and the Speed World Challenge Series. In 2004, he moved up to the Rolex Sports Car Series (now the TUDOR United SportsCar Championship) and later the Continental Tire Sports Car Challenge, the later with Turner Motorsports. In 2009, Marks was on the winning GT division team in the Rolex 24 Hours of Daytona. 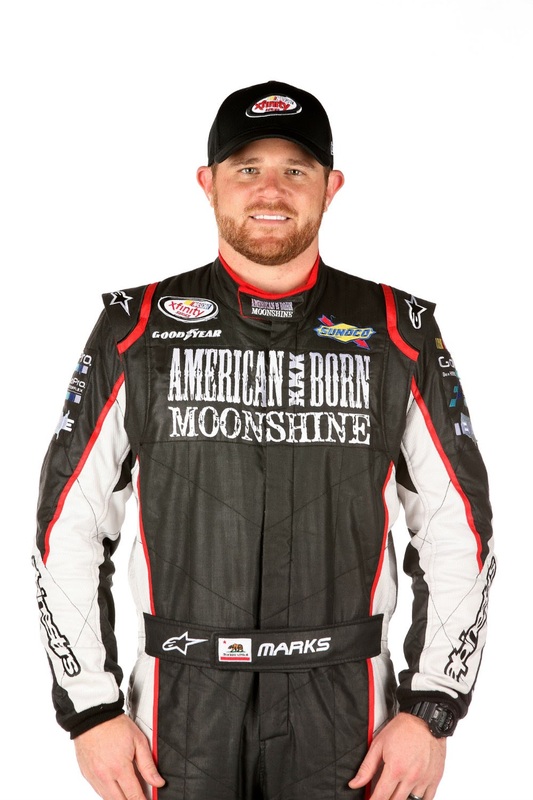 Marks made the move to stock cars in 2006, racing in the ARCA Racing Series for RAB Racing. In 2007 he competed in the final four races of the season in the Truck Series for Germain Racing, finishing eighth at Homestead-Miami Speedway. In 2008, he raced in the Truck and Nationwide (now Xfinity) Series, spending time with Germain Racing and Braun Racing. In 2013, he made his Cup Series debut with Tommy Baldwin Racing at Sonoma. Marks and fellow driver Michael McDowell own the GoPro Motorplex karting facility in Charlotte, NC. Marks is a partner with Harry Scott Jr. in HScott Motorsports with Justin Marks, a K&N Pro Series East team fielding four cars in 2015. He is also co-owner of Larson Marks Racing with Sprint Cup Series star Kyle Larson; the team fields World of Outlaws Sprint Cars for driver Shane Stewart. Learn more about Larson Marks Racing at larsonmarksracing.com and HScott Motorsports at www.hscottmotorsports.com.